Doing a bit of food trade this afternoon. Brakspear (at Marston's Wychwood) - Bitter 3.40 Taken off sale. Marston's - Pedigree 4.50 A nice pint of Pedigree. I did not stop long. Generally a nice atmosphere apart from one character at the bar who was rather annoying. Stag - Jane Doe 4.00 Almost undrinkable. The first pint was changed but the second was not much better. Early evening a few gathered around the bar, including a chap who gave a hostile reaction to my returning a pint which was none of his business. Stag - Jane Doe 4.00 Barman pulled a few through after I returned this however the difference was negligible so I decided to abandon the rest of my pint. Under holding management at the moment and not doing any food. I was the only customer on a wet Tuesday afternoon. Late afternoon and busy in the left hand bar with a funeral wake, quieter in the saloon bar where I met ChrisE for a start of a local pub crawl. Saturday evening, quiet at first but soon taken over by a large group of foriegn language students who split in to two groups, one playing darts and perforating the wall and another playing? Bar Billiards, they appointed me as referee. Very noisy but a good crowd. Stag - Jane Doe 4.00 First from a new cask. A relaxing couple of pints and a good chat with other customers. The busiest that I have seen this place for a long time and a nice crowd of people. A most enjoyable visit. I was given a half of Stag Green Eyed Doe to try but I have not listed it here as I forgot to make a note of the ABV. 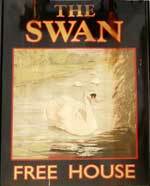 The pub is found in Ashford, Kent, TN23 1QN. Central town pub with mock Tudor frontage in Tufton Street. 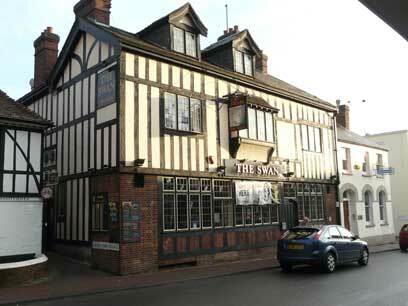 Refurbished in 2016 and reverted to a two bar pub with television screens in the right hand bar, the left side is a larger bar with a pool table at the front and a large area to the rear. After a period of closure once more re-launched in March 2018 with changes at least including the replacement of the pool table with a bar billiards table. We have visited this pub 59 times, seen 30 different beers and tried 25 of them.